All faculty, staff, and students are invited to the Degree Works Celebration on Monday, Sept. 18, in the Registrar’s Office, Room 101 of Hearnes Hall. Information and demonstrations will be available for the new audit system that provides students and advisors with an organized degree plan evaluation. Cake, punch and popcorn will be served from 10 a.m. to 3 p.m., and there will be door prizes and giveaway items while supplies last. Lion’s Den in BSC: 11 a.m. to 1:30 p.m.
Webster Hall (first floor): 1 to 2:30 p.m.
Health Sciences (first floor): 8:30 to 10:30 a.m.
Plaster Hall (first floor): 8:30 to 10:30 a.m. Questions about Degree Works? Want to RSVP for a training session? 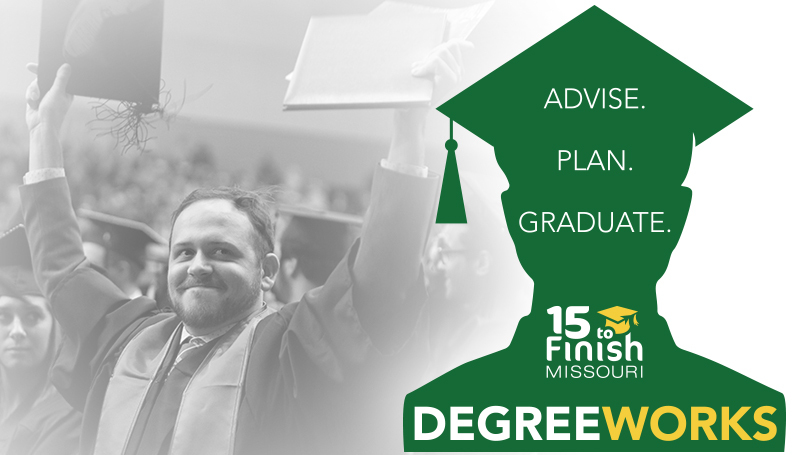 Contact the Registrar’s Office at degreeworks@mssu.edu.